A University of Applied Sciences (UAS), generally known as a Vocational University, Polytechnic university or called Professional University, Applied Technological University, or College of Higher Vocational Studies, is an institution of higher education and sometimes research, which provides both tertiary and sometimes quaternary education and grants academic degrees at all levels (bachelor, master, and sometimes doctorate) in a variety of subjects. In some countries, a vocational university more precisely grants professional degrees like professional bachelor's degree, Professional master's degree and Professional doctorates. The term is not officially used in many countries and an assignment to a certain type of university in a certain country's educational system is therefore difficult. The UK once had a very extensive vocational university sector with its polytechnic system dating back to the mid 19th century. Vocational universities are often regulated and funded differently (for example, by the local government rather than the state) from research-focused universities, and the degrees granted are not necessarily interchangeable. The education at vocational universities combines teaching of both practical skills and theoretical expertise. It can be contrasted with education in a usually broader scientific field, which may concentrate on theory and abstract conceptual knowledge. There is also the historical background that an educational institution was called a university in the Middle Ages only if a certain classical canon of subjects was taught (typically including philosophy, medicine and theology). In modern times, other subjects, namely natural and engineering sciences, became more important, but institutions of tertiary education focusing on these subjects and not offering the classical canon have until recently or are still denied the prestigious denomination "university" in all countries. They had to use other, more general terms (which in many languages are false friends of the English term "high school", sometimes with modifiers), including Fachhochschule in German, Haute École in French (Belgium and Switzerland), Hogeschool in Dutch, Høyskole in Norwegian, Scuola universitaria professionale in Italian, etc. 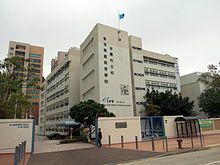 There are different varieties, including vocational universities of applied sciences (also named polytechnics or institutes of technology), vocational universities of liberal arts, etc. In recent years, many vocational universities have received full university status, such as the University of Music and Performing Arts, Vienna, Austria (Universität für Musik und darstellende Kunst Wien, formerly Hochschule für Musik und Darstellende Kunst Wien), or the Örebro University, Sweden (formerly Örebro Högskola). There are also some establishments which now have full university status but continue to use their former names, such as the Royal Institute of Technology in Stockholm, Sweden. In Finland, vocational universities are called Ammattikorkeakoulu (Yrkeshögskola in Swedish, translated University of Applied Sciences, literally "vocational high school"). They focus on vocational education and do not grant licentiate or doctorate degrees. Notice: certain universities are called korkeakoulu because they effectively have only one faculty, e.g. Teatterikorkeakoulu, the Theatre Academy, whereas universities with several faculties are called yliopisto. The term ammattikorkeakoulu (AMK) creates some confusion with korkeakoulu, because traditionally AMK's were not considered universities. A graduate of university of applied sciences (ammattikorkeakoulu) is generally not eligible for doctoral studies in Finnish universities without formally completing a master's degree from a university (yliopisto). The term vocational university is not used. In contrast to traditional German universities, a Fachhochschule (translated University of Applied Sciences) has a more practical profile. Universities of Applied Sciences grant Bachelor degrees and Master degrees. Some Universities of Applied Sciences run doctoral programs where the degree itself is awarded by a partner institution. Furthermore, Berufsakademie is a college type strongly inspired by the dual education system. A Berufsakademie is called a university of cooperative education in English and only grants bachelor's degrees. This type of institution was first created in the German state of Baden-Württemberg and now exists in Hamburg, Hesse, Lower Saxony, Saarland, Saxony, Schleswig-Holstein, and Thuringia, but not in the other German states. In 2009, Baden-Württemberg transformed its Berufsakademie into a new type of institution, which until now only exists in that state, a "Duale Hochschule". In English, this type of institution is also called university of cooperative education, but a Duale Hochschule also offers master's degrees. In Greece, comparable institutions to the Vocational Universities (or perhaps better to the Universities of Applied Sciences) are the Technological Educational Institutes (TEIs). These constitute part and parcel of the Higher Education in Greece and offer in their own capacity bachelor's and master's degrees, and soon Doctorate degrees..
On the other hand, the term College in Greece may refer, among others, to the institutions that are officially titled Centres of Post-lyceum (secondary) Education. These have a solely professional, i.e. non-academic, orientation according to existing Greek law, and are so far only private. However, they run in collaboration with foreign authorities, such as universities and accreditation organisations, that may recognise them academically. They may offer professional bachelor degrees of minimum three years, as well as master and doctorate degrees. As of January 29, 2008, a Dutch hogeschool (HBO) may call itself a "University of Applied Sciences" in English. Universities of Applied Sciences offer bachelor's degrees and master's degrees, but no doctorates. Since 1 January 2014 there is no longer a distinction between the bachelor's and master's degrees awarded by the Dutch research universities (Dutch "universiteiten") and the Dutch Universities of Applied Sciences (Dutch "hogescholen"), therefore graduates from Universities of Applied Sciences in the Netherlands will obtain a Bachelor of Arts (BA), Bachelor of Science (BSc), Master of Science (MSc) or an equivalent academic title corresponding to their specific field of study. Hogescholen in the Netherlands have been provided with the right to conduct research by the revised Higher Education and Research Act (WHOO)2010. The main difference between universities (universitet) and vocational universities (högskola, official translation university college) is that only the former ones have the right to award doctorate degrees in all subjects they offer. Some vocational universities have been given such rights within limited areas of research. Iran Technical and Vocational University (TVU) is of one Higher Education under the Ministry of Science, Research and Technology of the task management and technical school and vocational schools across the country is responsible. The university has more than 176 schools and colleges across the country and more than 220 thousand students is one of the largest universities in Iran Technical and Vocational University is of one Higher Education under the Ministry of Science, Research and Technology of the task management and technical school and vocational schools across the country is responsible. In 2009, the first University of Vocational Technology was established under the purview of the Ministry of Vocational and Technical Training. There are also nine College of Technology in Sri Lanka. ^ "Διδακτορικά από ΤΕΙ- Η επιστολή του υπ. Παιδείας προς τους προέδρους των ΤΕΙ". esos.gr. 9 April 2017. ^ a b Ministerie van Onderwijs, Cultuur en Wetenschap. "Regeling van de Minister van Onderwijs, Cultuur en Wetenschap van 11 december 2013, nr. 528477, houdende een wijziging van de Regeling andere toevoeging aan wo-graden in verband met het vaststellen van de referentielijst internationale herkenbaarheid titulatuur hoger beroepsonderwijs en het vaststellen van graden met toevoegingen". zoek.officielebekendmakingen.nl. ^ Ministerie van Algemene Zaken. "Welke titel mag ik voeren als ik ben afgestudeerd of gepromoveerd aan universiteit of hogeschool?". www.rijksoverheid.nl. ^ "::: Professional Councils-Inside H E - University Grants Commission :::". ugc.ac.in. Retrieved 18 December 2011.